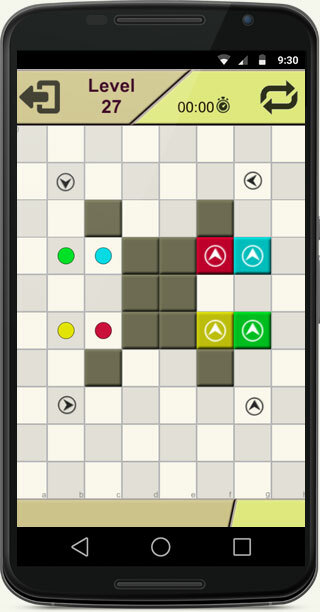 For the most strategic minds we come with the best addictive strategy game to put your brain to great challenges. Push the boxes in dots is a free strategy brain puzzle game, in which all the boxes have to move on their corresponding colored dots to win the level! Simple game to play, just tap a box to push a box one square in arrow direction printed on the box. Push the boxes in dots is a strategy brain puzzle and logical game that is entertaining but at the same time challenging similar to sokoban. 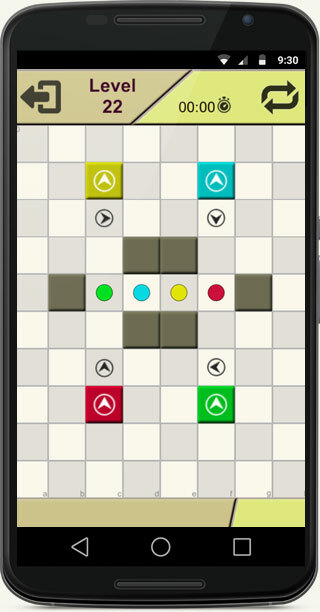 Push the boxes in dots it's a perfect strategy game to improve your mental skills. 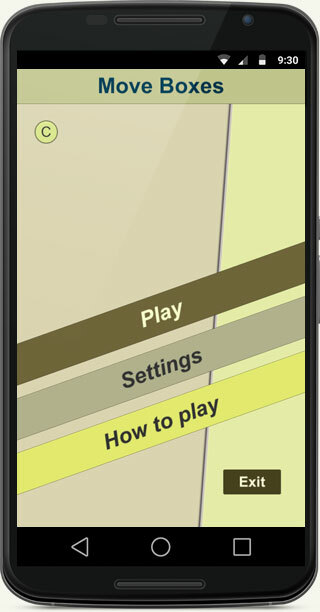 Hours of fun with easy touch controls and nice graphics. Only one box can be pushed at a time. All boxes are moved in direction indicated by the arrow. The box can't move through boxes or walls. The puzzle is solved when all your boxes are on their corresponding colored dots. 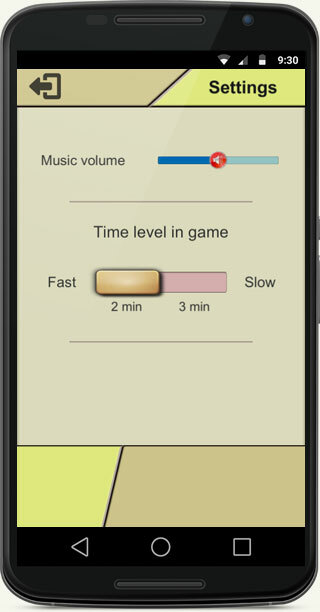 Level time is limited, you may choose betwin 2 and 3 minutes per level.